I’m sure at one point in time you have considered purchasing a watch winder for your luxury timepiece. In this article, we will look at what watch winders are, why you probably need one and what to look out for when purchasing one for your watch. We will give you all the information needed so you can buy a watch winder that will improve the lifespan of your watch and also keep your watch accurate. When you wear your automatic watch it keeps energised through your movement allowing it to keep working and telling time as it should, but this only happens when you are moving. When you stop, maybe to sleep or you take your watch off, the movement stops and the watch also stops winding. Eventually, the energy stored through your movements will run out and your watch loses its time, day and date. Watch winders are mechanical devices that are used to keep your watch ticking accurately and keep them energised when not in use. They are used with automatic watches when not worn on the wrist. I will say right away, you don’t need a watch winder because you can manually wind your watch if it does lose its charge. But there are a few disadvantages of manually winding which we will look at later in this article. Do you need a watch winder? As discussed above you don’t need a watch winder as you can wind your watch manually every time it loses its energy, but most people don’t have the time or patience for this, I don’t. This effect is compounded when you have more than one luxury watch as I’m guessing most of you reading this article will, (or you will in the future that’s for sure. No one can stop at one luxury watch, take it from my personal experience but that’s another story). If you are a busy person, and can’t be late for meetings or special events, having to manually change your watch every few days can get exhausting. If you can take time on the weekend to wind up your watches good for you, but for me personally I’m constantly on the go, having to wind my watch is a hindrance that I don’t need. That is why I purchased a watch winder many years ago. Having said all of the above not everyone needs a watch winder. Who doesn’t need a watch winder? We discussed automatic watches above (people who do need watch winders) but there are many other different types of watches that don’t need to be wound. Quartz watches run on a battery and don’t need to be wound. Quartz watch batteries usually last for 2-3 years, so no winding for you! A great way to tell if you have an automatic watch or a quartz watch is to look at the ticking motion on the second hand. If you have a battery powered watch (quartz) then the movement sort of flickers from one second to the next, it looks a little jittery. Mechanical watches, on the other hand (no pun intended), have a smoother motion and seem to glide from one second to the other. There are two types of mechanical watches. One that needs a winder and one that doesn’t. The one that doesn’t is a manual mechanical watch. Manually wound watches as the name would suggest are watches that need to be wound by hand, putting a manually wound watch in a watch winder won’t do anything for the watch and could potentially damage it. Automatic watches are the watches that need winders. An easy way to tell if your watch is manual or automatic is to turn your watch over and look at the back of it. If the back of the watch is open/clear and you can see the inner workings of the watch then there is a high chance that the watch is a manual watch. If you still don’t know what watch you have, refer to your user manual, it will tell you if your watch is manual, automatic or a quartz timepiece. You may have a different reason to purchase a watch winder than I did, for me it was all about convenience. I don’t have the time to wind my watches manually every few days and I hate being late, having a watch that is inaccurate sort of defeats the point in having a watch in the first place. Convenience isn’t the only reason why you would purchase a watch winder. Every time you manually wind an automatic watch you cause harm to the mechanism inside of the watch. 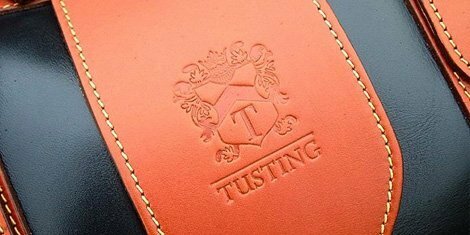 When you pull on the crown of the watch to wind the watch it puts pressure on the gears which over time wear down. This wear on the gears increases your maintenance and repair fees, and for the sake of a few hundred pounds, in my opinion, it’s worth getting a watch winder for this reason alone. Some also argue that using a watch winder can help lubricate the parts inside of your watch by keeping them moving. The argument is that when you stop using your watch the oils inside settle into the resting position. These oils then clot or coagulate. When the watch is then used again these oils don’t go where they are supposed to causing unnecessary friction on the parts inside. Many people believe that by keeping your watch moving these oils are transferred around the watch more evenly so no clotting or coagulation occurs, keeping your watch well lubricated and keeping those service and maintenance fees down. If you don’t care how a watch winder works just as long as it does you can skip this section, but for the more curious I will explain how a watch winder works. A watch winder is made to mimic the motion your watch takes when it is worn on your wrist. When you put your watch on your automatic winder it is set at a certain angle and rotates, this winding motion transfers kinetic energy into your watch which it is then stored to keep your watch running accurately. When you wear your watch you don’t spin your hand round constantly if you did it would look quite strange, for this reason, the motion on a watch winder is designed to spin intermittently. This intermittent motion stops your watch from being overwound (see more on this later) and overstressed. Cheaper watch winders constantly spin and don’t have programmable settings, and although modern watches have in-built mechanisms to stop over winding, I simply wouldn’t risk my £7000+ watch in a cheaper winder. The Wolf watch winders that we stock have programmable rotation modes and sleep phases to stop your watch from being over wound. When purchasing a watch winder you will want to take a few things into consideration. Firstly the brand of the winder is important, I would never trust my Rolex with a cheap winder, it just isn’t worth taking the risk, but that doesn’t mean you need to break the bank either. Wolf watch winders are high quality and affordable. I use my Wolf winder and have done for a few years and have never had a problem with them. If you are looking to buy a watch winder then take a look at winders that match your budget, the style of the winder (do you want something classic or more modern? ), the amount of modules or storage space they offer (important if your thinking about buying that 2nd or 5th luxury watch), programmable modes, and rotation settings. Power supply (Do you want to use a plug, battery or both). TPD (turns per day – more on this later). The size of your watch and if it will fit. The weight of your watch (cheaper winders won’t work with heavy watches). Why are watch winders expensive? Compared to that Submariner, Royal Oak or Hublot Big Bang a watch winder, in my opinion, isn’t that expensive. Sure you can get multiple device watch winders for £20,000+ but if you have multiple high-end watches, you can afford a case to put them all in. But in general, watch winders are affordable. You can get a single winder from Wolf starting at £189. Not bad for something that will keep your watch in great condition and accurate. The only reason why you may think that a watch winder is expensive is that you simply didn’t know you needed one. When I was given my Submariner many years ago by my dad I was over the moon (very happy), luckily I didn’t have to fork out thousands for it, if I did and then realised I would have to purchase something else on top to keep it wound I would have been a bit unhappy to say the least. But in my experience, a watch winder is needed if you have an expensive automatic watch. Get a good one and it will last you years, so the expense comes down to hardly anything. 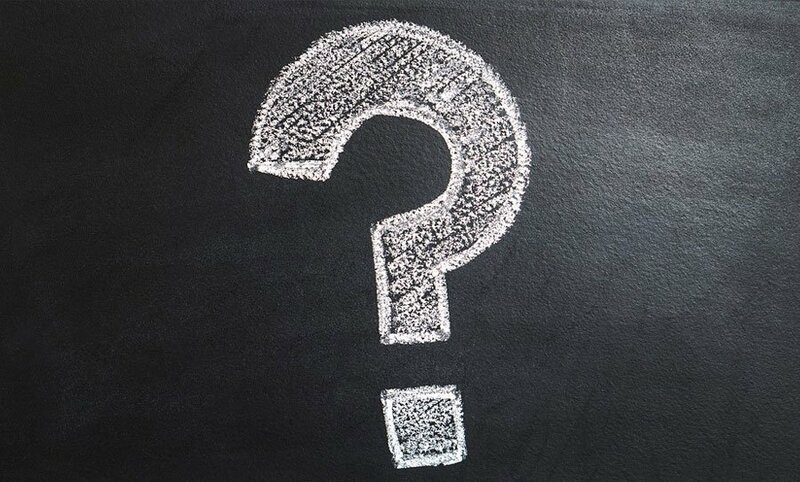 What is TPD and why does it affect your watch? Rolex Submariner 650 turns per day. Rolex Daytona 900 turns per day. In general Rolex’s need around 650 turns per day to keep wound. If your looking for an omega watch winder, here are some of the turns per day you will need to know before purchasing a winder. The calibre (movement) of your Omega watch is indicated by a pictogram on the pictogram card that came with your watch. 2601 winding direction Anticlockwise and needs 540 rotations a day. 2600, 3113, 3202, 3205, 3301, 3303, 3313, 3603, 3612 winding direction Clockwise and needs 600 turns per day. 8400, 8401, 8402, 8403, 8421, 8500, 8501, 8507, 8508, 8520, 8521, 8601, 8611, 8602, 8612, 8605, 8615, 8700, 8701, 8704, 8705, 8800, 8801, 8802, 8803, 8806, 8807, 8900, 8901, 8902, 8903, 8906, 8607, 8912, 8913, 8922, 8923, 9300, 9301, 9605, 9615, 9900, 9901, 9904, 9905 winding direction bi-directional and needs 720 turns per day. 1120, 1128, 1138, 2200, 2202, 2300, 2403, 2500, 2507, 2610, 2627, 2628, 3220, 3601, 3602 winding direction bi-directional and needs 800 turns per day. Most IWC watch winders will need around 800 turns per day. Note – All of the Wolf winders we stock can hit these numbers with ease! Some watches will need to be turned in a certain direction, this could be clockwise, counterclockwise or bi-directional, so be sure to purchase a watch winder that matches your watch. A good watch winder will be able to do all three. Watch winders are made to keep your watch running accurately, a bad or cheap watch winder though can do the opposite. The accuracy of your watch can be affected by magnetic interference caused by cheaper winders. This causes your watch to run fast. Although this isn’t damaging it is an annoyance as it means you will need to demagnetize your watch to correct it. Thankfully better watch winders will have a magnetic shield to protect your watch from experiencing this. All of the (Wolf watch winders) that we sell have a protective magnetic barrier that keeps your watch from being magnetised. Most people in life will not be lucky enough to experience the pleasure of owning high-end watches, for most, it can be a dream purchase. For the lucky ones among us a single watch winder or double will be more than enough. If you are a collector you may want to consider how many watches you plan to own so that you don’t outgrow the storage space in your winder, but if you do outgrow your winder it isn’t the end of the world as they hold their value really well. You also should know that a bad watch winder is worse than manual winding. Watch winders are made to mimic your random movements, so a cheap winder will have a lot of trouble trying to do this as generally cheaper winders only move in one direction and loop continuously. This repetitive movement will overstress your watch and will damage the watch’s mechanisms. Avoid a cheap winder at all costs. Honestly, it just isn’t worth it, either save for a better winder or manually wind your watch. Watch winders are simple to use. They don’t require much thought apart from the TPD they need and the rotational settings. You may also want to set a time delay so that you can run the existing charge down a little in case you are worried by overstressing the watch. Once your watch is on your winder you can then leave the watch until you’re ready to use again. Can a watch be overwound? Different collectors will have different opinions on this. I am of the opinion that all automatic watches that are used in quality watch winders cannot be overwound. If you use a cheaper winder or a watch spinner which basically spins your watch without stopping then this can cause stress on your watch. To make sure you don’t overwind your watch use a quality winder that has programmable modes rather than a cheaper constant spinning mechanism. 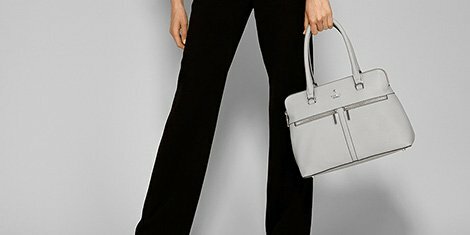 Your watch and pocket will thank you for it. Why won’t a watch winder, wind my watch from flat? Watch winders are designed to keep a wound watch working by preventing it from running out of energy. They are however not designed to charge a watch up from flat. If your watch has run out of charge fully then you will need to wind it manually. To prevent your watch from running out fully you should put it in a winder when not being used, this will then keep your watch at a constant charge. Will any watch winder wind my watch? No, as we discussed in the sections above. Nearly all watches will have different settings that they need to hit. Different rotation direction cycles, different turns per day, etc. A good quality watch winder will be able to handle these different settings though, so be sure to do your research before buying a new winder. See more FAQ’s on our watch winder page. We sell Wolf watch winders in single or double-headed units, if you’re interested in multiheaded units (2+) get in touch we maybe able to help source a good winder for you at a great price. We have linked to a few watch winders that we recommend below with a short description on each. 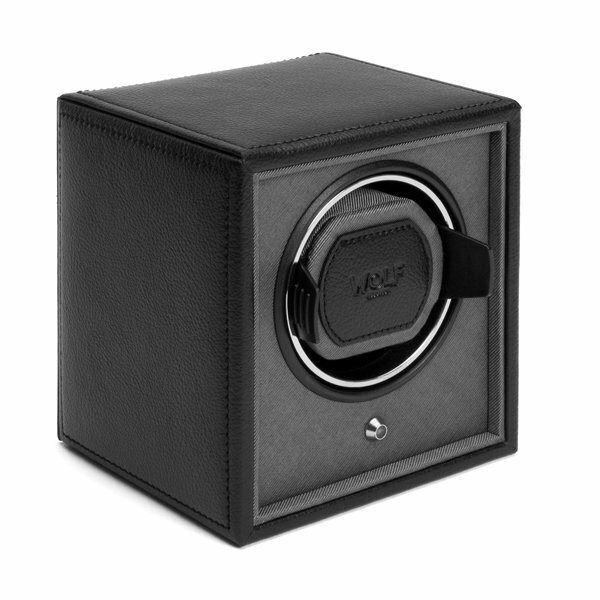 If you have a single automatic watch and need a quality winder that looks great then the roadster is a great choice. It is inspired by British car brands such as Jaguar, Aston Martin and Bristol, and has a more features than we care to mention, see the wolf roadster 2.7 watch winder here. The Wolf Windsor winder is more affordable than the roadster but still has its great features. The only difference is in the appearance of the winder and the turns per day amount (900). Everything else such as the programmable features, quiet motor, and various turn directions are included. View the windsor here. The cub is the baby of the Wolf range and is the most affordable. It has a turns per day volume of 900, has bi-directional functionality and intermittent rotation and sleep phases. If you’re looking for a budget but quality winder the cub is a great choice. 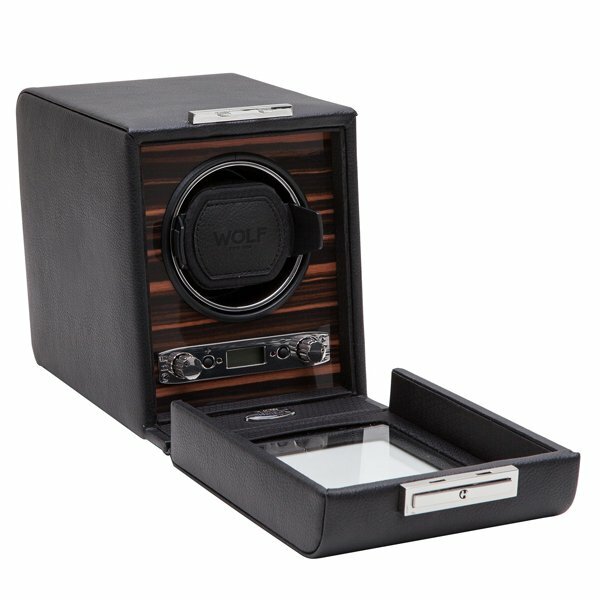 Check out the wolf cub watch winder here. If you’re lucky enough to own more than one luxury watch you are going to need a double watch winder. At the moment we stock the Wolf Viceroy double winder. With room for 2 winding modules and 3 watches in additional storage the Viceroy is an excellent watch winder. It’s currently the most expensive watch winder that we stock, but to any watch collector, it’s a great investment. The Viceroy can be set to turn between 300 and 1200 turns per day, has clockwise, counterclockwise and bi-directional turning settings and has the ability to delay winding for 72 hours. You can learn more about the Viceroy here. If you have got this far thank you for reading, it took us a while to put this guide together, so if it has helped you please give this article a share on social media or link to it from your website or blog, we would appreciate it. If you want to see the watch winders we sell visit our watch winder category here. If you have any other questions about purchasing a watch winder please get in touch.